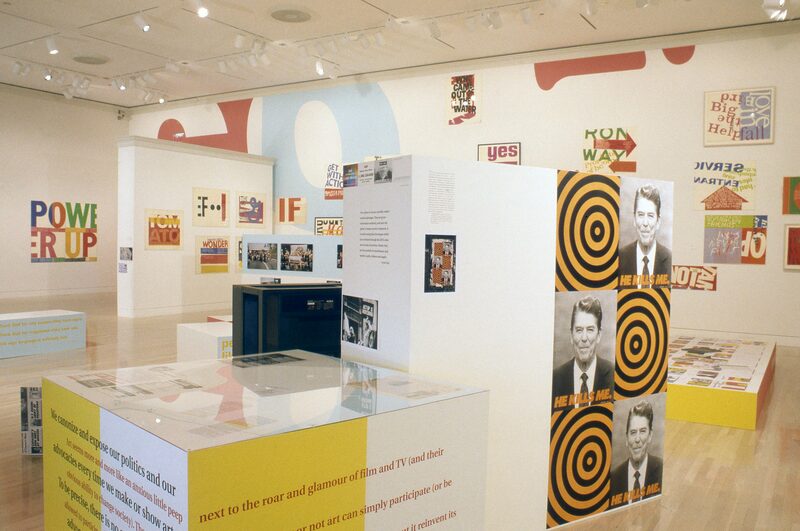 The following is a a selected list of exhibitions focusing on the life and work of Corita Kent. For a comprehensive list of recent exhibitions containing artwork by Corita please visit the Corita Art Center website. We Can Make It: The Prints of Corita Kent, Haggerty Museum of Art, Marquette University, Milwaukee, February 2 – May 21, 2017. Mass Appeal: The Art of Corita Kent, California Museum of Art, Thousand Oaks, January 27 – April 3, 2017. Corita Kent: Spiritual Pop, Portland Art Museum, Oregon, August 13, 2016 – January 29, 2017. 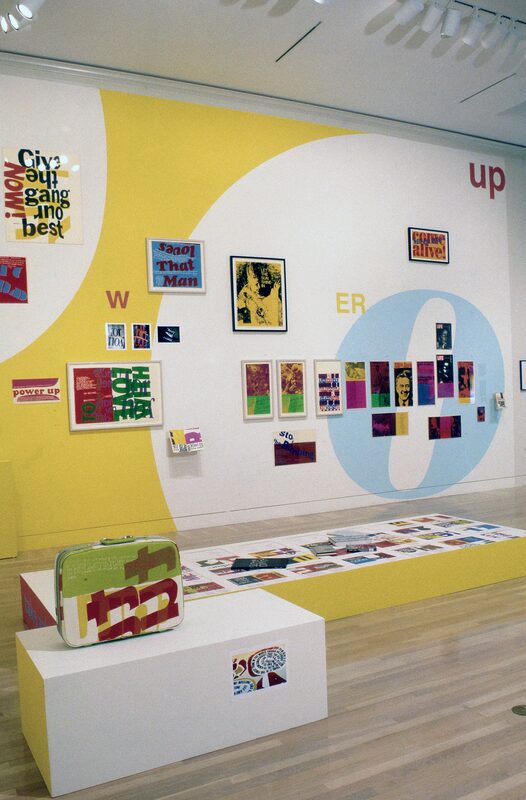 Sister Corita's Summer of Love, City Gallery Wellington, New Zealand, July 23 – October 16, 2016.
love is here to stay (and that's enough): Prints by Sister Corita Kent, Robert and Karen Hoehn Family Galleries, University of San Diego, February 18 – May 13, 2016. 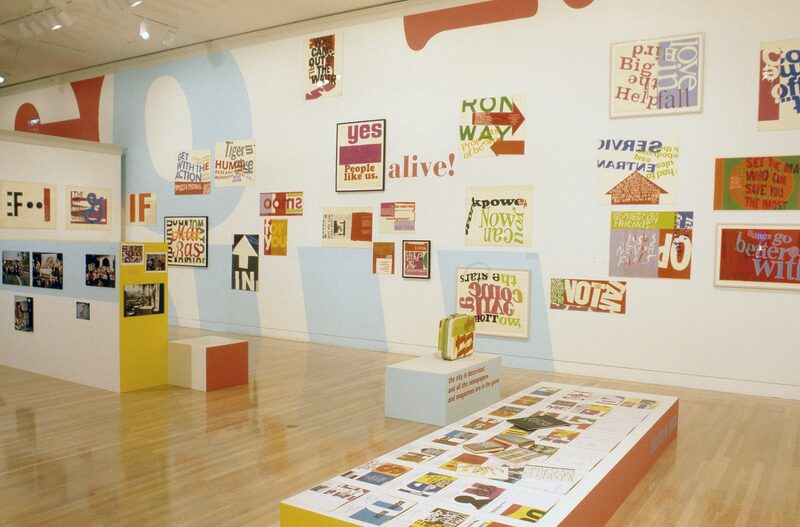 Corita Kent and the Language of Pop, Harvard Art Museums, Cambridge, Massachusetts, September 3, 2015 – January 3, 2016. Traveled to the San Antonio Museum of Art, Texas, February 13 – May 8, 2016. 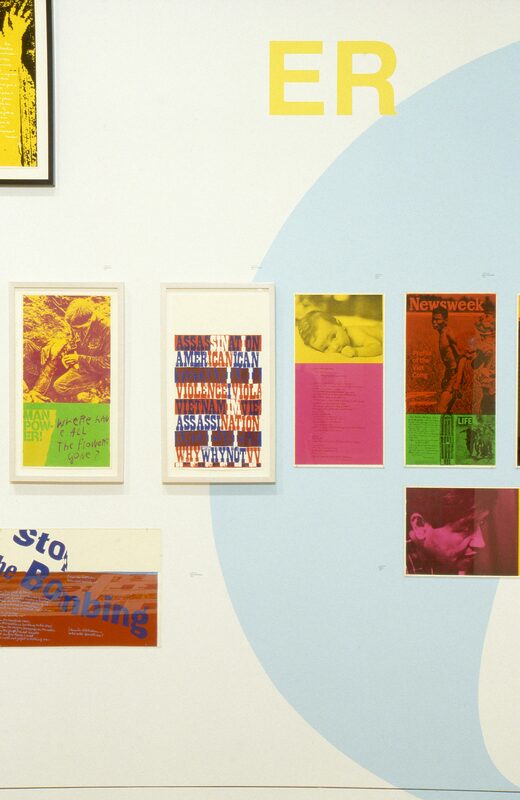 Corita Kent: Footnotes and Headlines, Radcliffe Institute for Advanced Study, Harvard University, Cambridge, Massachusetts, August 24 – December 4, 2015.
but there is only one thing that has power: Corita Kent, Galerie Allen, Paris, March 12 – May 3, 2014. 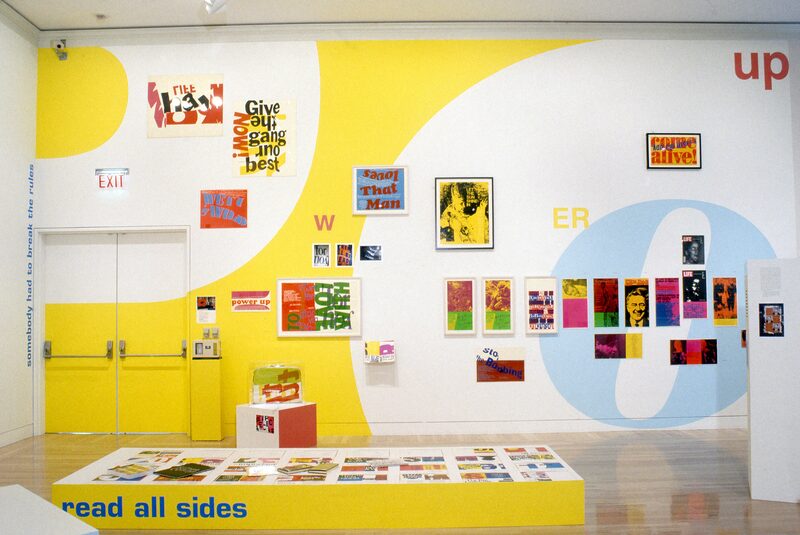 Corita Kent: Let the Sun Shine In – A Retrospective, Circle Culture Gallery, Berlin, February 22 – May 24, 2014. 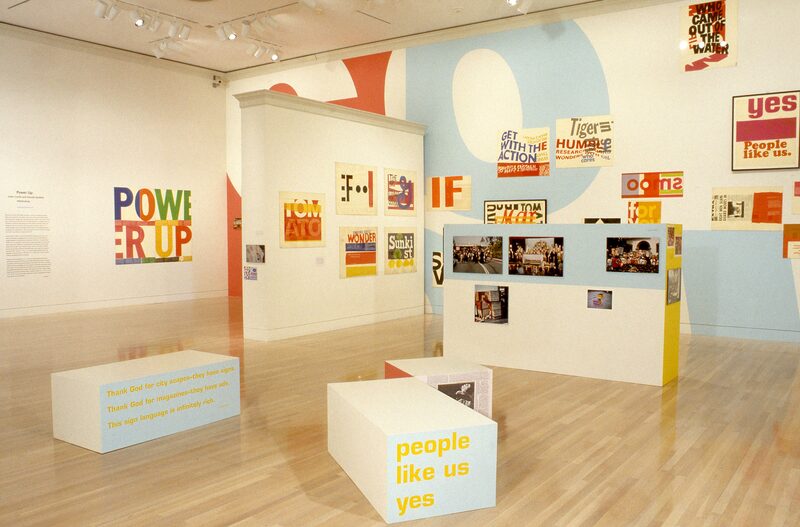 Decade of Dissent: Democracy in Action, 1965–1975, Santa Monica Art Studios, ARENA 1, February 23 – March 23, 2013. 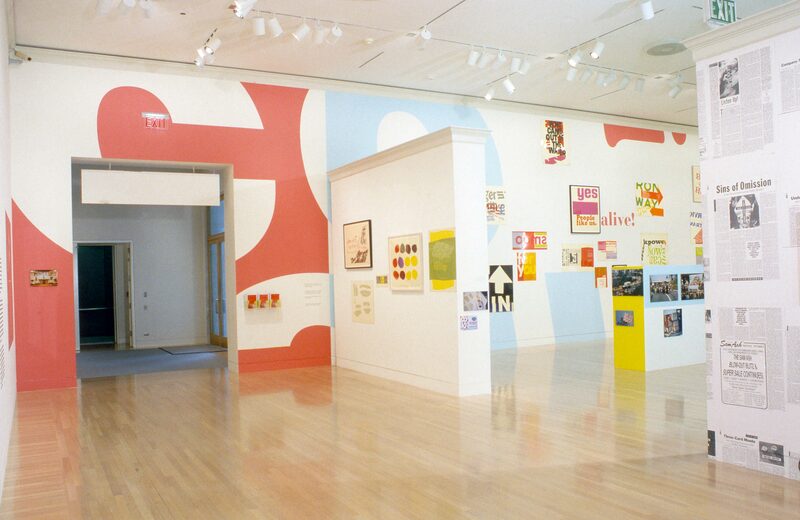 Someday is Now: The Art of Corita Kent, Tang Museum, Skidmore College, Saratoga Springs, New York, January 19 – July 29, 2013. Traveled to the Museum of Contemporary Art Cleveland, June 27 – August 31, 2014; the Baker Museum, Naples, Florida, September 27, 2014 – January 4, 2015; The Andy Warhol Museum, Pittsburgh, January 31 – April 18, 2015; and the Pasadena Museum of California Art, June 14– November 1, 2015. Pull Everything Out, Spike Island, Bristol, England, June 30 – August 26, 2012. 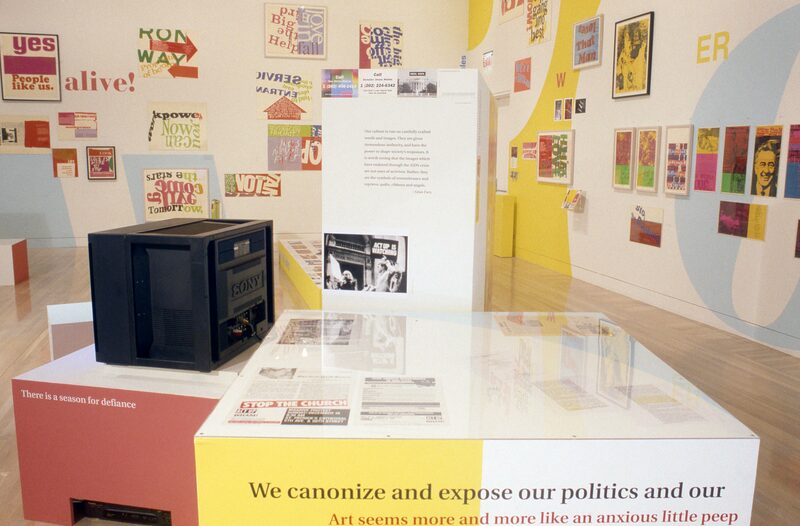 Purely Observational/Everyday Political: Artwork of and Inspired by Corita Kent, Otis College of Art and Design, Los Angeles, March 17 – April 14, 2012. R(ad)ical Love: Sister Mary Corita, National Museum of Women in the Arts, Washington, DC, March 8 – July 15, 2012. Corita Kent: To create is to relate, Contemporary Art Gallery, Vancouver, September 8 – October 30, 2011. E Is for Everyone: Celebrating Sister Corita, Museum of Craft and Folk Art, San Francisco, 2011. 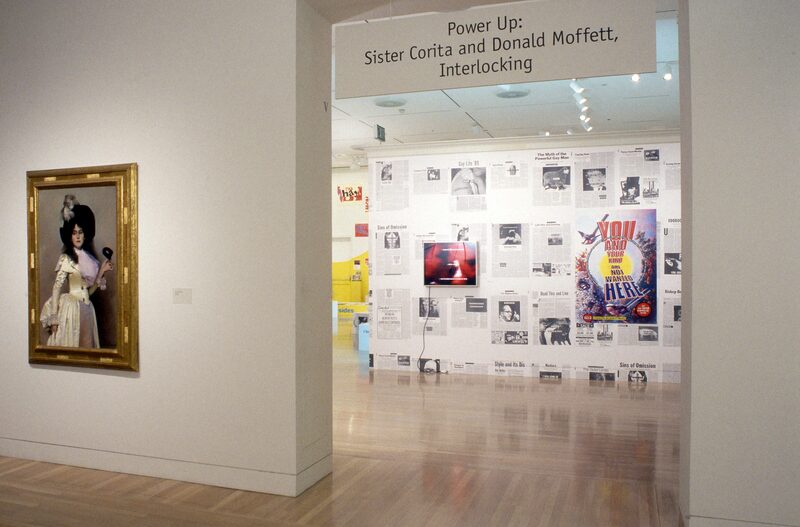 Sister Corita: The Joyous Revolutionary, University of Michigan Museum of Art, Ann Arbor, June 19 – August 15, 2010. Sister Corita, Zach Feuer Gallery, New York, October 23 – December 5, 2009. 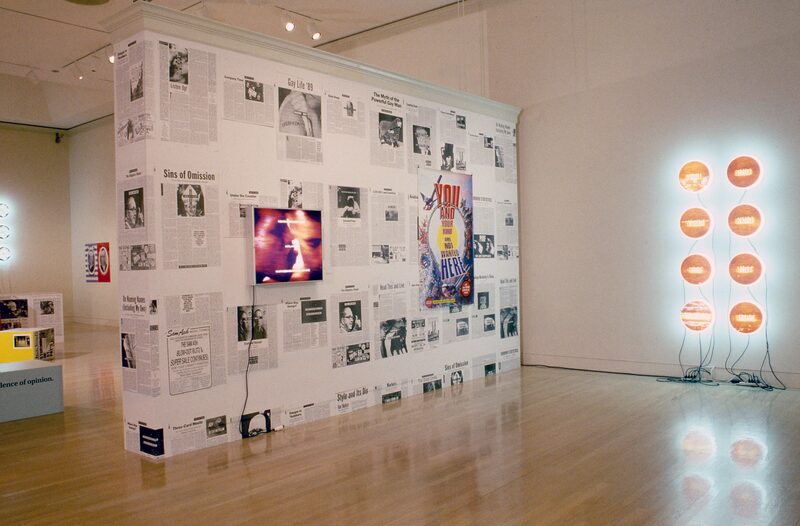 Corita: Breaking (All) the Rules, Jundt Art Museum, Gonzaga University, Spokane, Washington, September 8 – December 12, 2009. 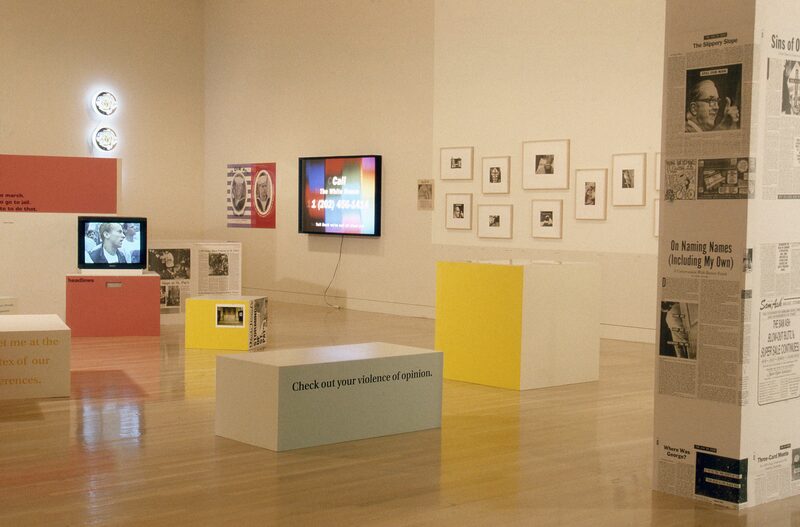 Sign Language: The Pop Art of Sister Corita, Missoula Art Museum, Montana, February 27 – June 28, 2009. 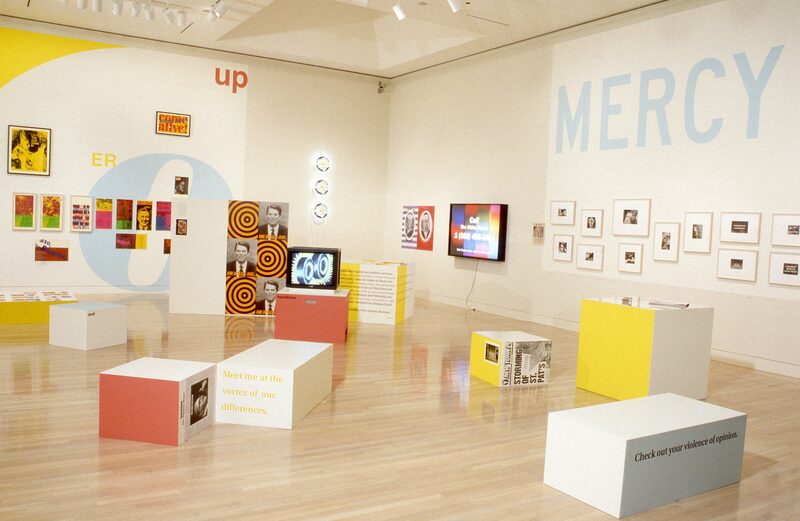 A Passion for the Possible: The Works of Sister Corita, California State University, Northridge, February 14 – April 4, 2009. Wet and Wild: The Spirit of Sister Corita, Signal Center for Contemporary Art, Malmo, Sweden, November 23, 2007 – February 24, 2008. 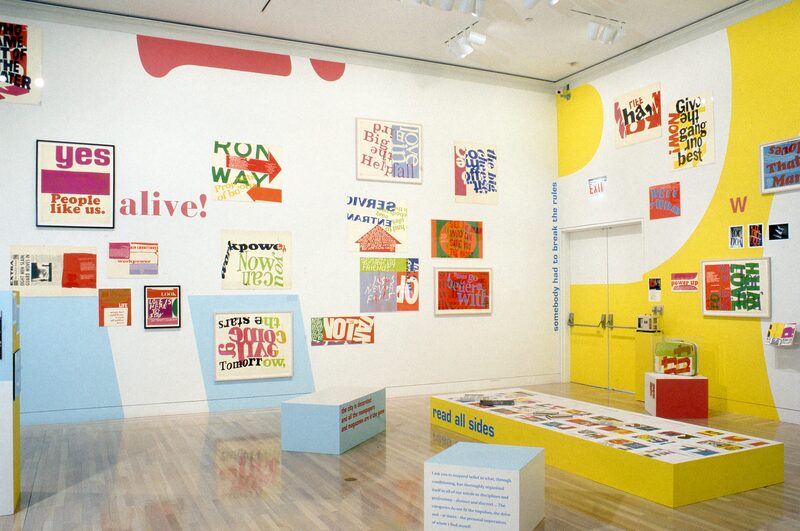 Sister Corita Kent: Serigraphs, Snite Museum of Art, University of Notre Dame, Indiana, June 1 – July 1, 2007. Sister Corita: Works from the 1960s, Between Bridges, London, October 5 – November 26, 2006. The Power of Corita: A Retrospective, Claremont School of Theology, California, April – May 2004. 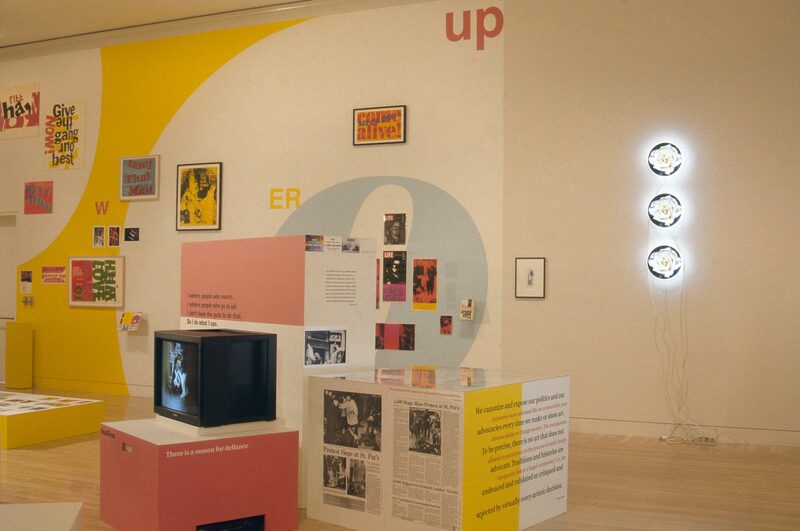 Power Up: Sister Corita and Donald Moffett, Interlocking, Hammer Museum, Los Angeles, February 6 – April 2, 2000. 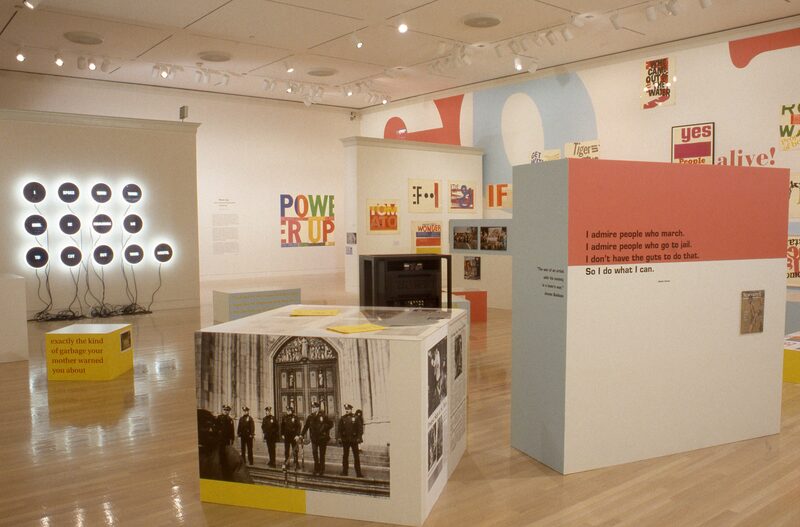 Power Up: Reassembled Speech, Interlocking Sister Corita and Donald Moffett [PDF, 16 pp, 4 MB], Wadsworth Atheneum, Hartford, Connecticut, September 14 – November 16, 1997. "Exhibitions." Corita Kent in the Grunwald Center Collection. 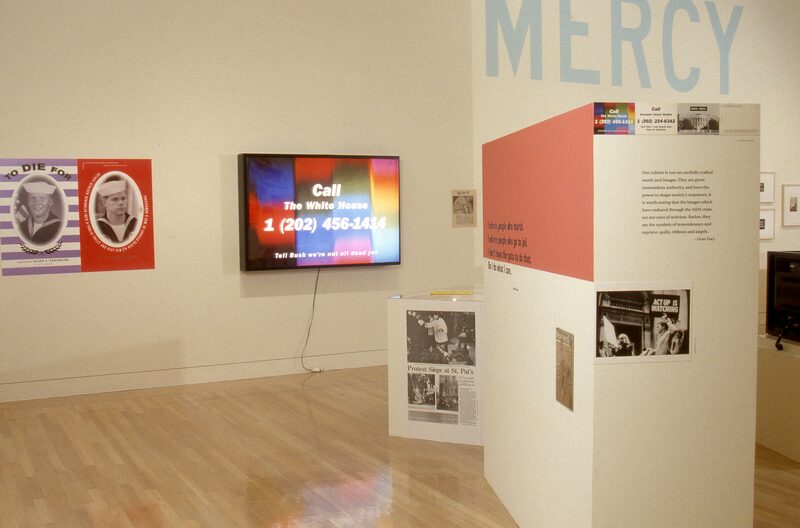 Los Angeles: Hammer Museum, 2017. https://​hammer.ucla.edu/​collections/​grunwald-center-collection/​corita-kent/​research/​exhibitions/​.